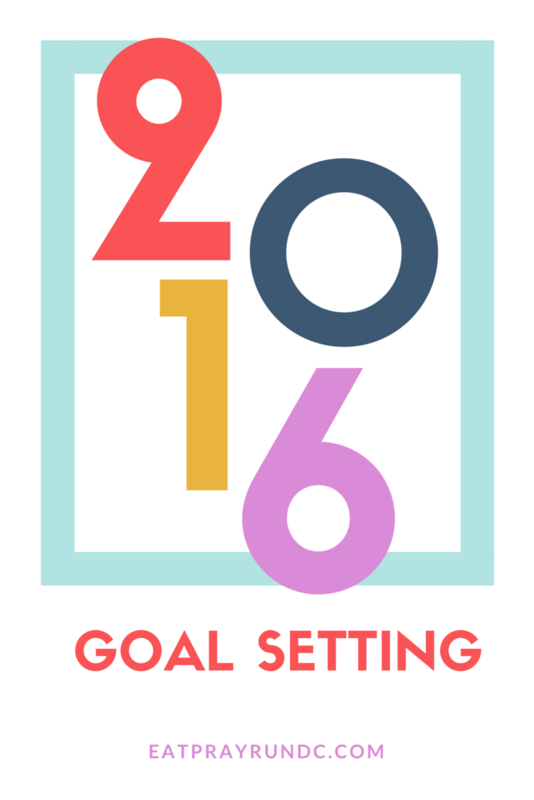 2016 Goal Setting – Join Me! The new year is almost here and with it often comes a bunch of “resolutions” that never quite work out. Let’s forget all that and for 2016, let’s focus on setting goals and actually accomplishing them! In honor of the fact that determined to make 2016 the best year ever (seriously), I’m doing some 2016 goal setting and I really hope you’ll join me for it. Here’s the deal…So many of us (and my hand is raised, y’all) struggle with setting and achieving goals. So I did some research on what helps folk be successful in reaching their goals and am applying what I learned! The big take aways were putting words in writing and having accountability. So with that in mind, I’ve created a series of free 2016 goal setting printables and will be emailing folks who want encouragement and support twice a month with tips and tricks on achieving goals. I’ve already printed out my January printable and am filling it in and about to get started on my 2016 year goals. Even if you’ve already typed up some goals, consider joining and writing those goals down. I know in the past when I’ve typed up a goals post, I kind of forgot about those goals until the end of the month. Now, my goals are staring me right in the face (I have my sheet printed out and it’s hanging in my office). Sign up for my newsletter HERE (or in my side bar) and in addition to receiving immediate access to my new blogging ebook, you will get access to free printable goal setting worksheets that you can print out for each month (if you’ve already signed up, you’re good to go and will get your email with details tomorrow). An email with all the details and information will be going out tomorrow and I want you to be on that list! I will also be sending out bi-monthly emails encouraging you and sharing a few tips on how to achieve those goals along the way. It’s the perfect way to start 2016! Are you setting goals for 2016? Do you write them down? I always write my goals down. It’s the best way to hold myself accountable. This year though instead of goals or resolutions I am going to do 365 days of gratitude. I bought a cute journal to write down 3 things I am grateful for every day. I love that – such a great idea, Daisy! I will be stealing this idea! This is a great thing. I just signed up- I love the goal setting sheets because they’re printable and cute (and I can post them near my work computer so I see the goals often). Yes, exactly! The printing them out and posting then aspect is key for me!! I definitely have set some goals for 2016 and always write them down. This year’s goals aren’t around running as in years past but more about being more confident when I step on stage as a figure bodybuilding competitor and continuing to being a fitter/healthier version of myself. Sounds like you have an excellent 2016 ahead of you! What a great resource, Courtney!! Thanks Tara – I hope it’s helpful! Thanks for the great resource, Courtney! I have a feeling this will not only help me with my fitness goals, but also my professional ones. Oh, I hope so! I’m using it for all areas of my life! I am really bad with goals/resolutions. I am hoping that 2016 is the year I actually accomplish them. We can do this! Print out the sheets, keep them close by and get going! I’m confident we can all achieve our goals through encouragement and support! Thaks! I’ve already signed up for your newsletter. I LOVE that you’re doing this and more importantly, I LOVE that you’re doing it for free! You’re the best! The girls in my running group had a dinner and goal setting night in mid December. Each one of us wrote a few goals down on paper and they all went into a box held by our coach. We will get together at the end of the year to see what we were able to accomplish. We also took turns sharing one goal with the group that night. Mine is to improve my upper body strength! I think having accountability helps alot! That is awesome – I love that. And accountability is HUGE! I signed up! I’m taking a different approach to goal setting this year. I think your approach will help me–love the idea of monthly printables. Thanks! I’m still piecing together my 2016 goals. They won’t be as measurable/specific as my 2015 goals. Hopefully I’ll have them together for Friday’s post! There are my New Year Resolutions, there are my 2016 goals, and there’s my vision board. I want to do a lot with my life and I don’t share everything on the blog but it’s important to have a clear plan and specific measurable goals so I know I’m on track. I’ve been horrible with this in the past so I use every resource I can to help keep me accountable and focused. Awesome! So glad to have you on board! Looking through your blog seriously makes me want to go work out… And I never want to work out. Hahaha, so keep up the good work!